A southern Minnesota woman who was taking an Uber ride home, allegedly flew into an intoxicated rage and broke the vehicle’s windshield, then ordered her dog to attack a police officer. 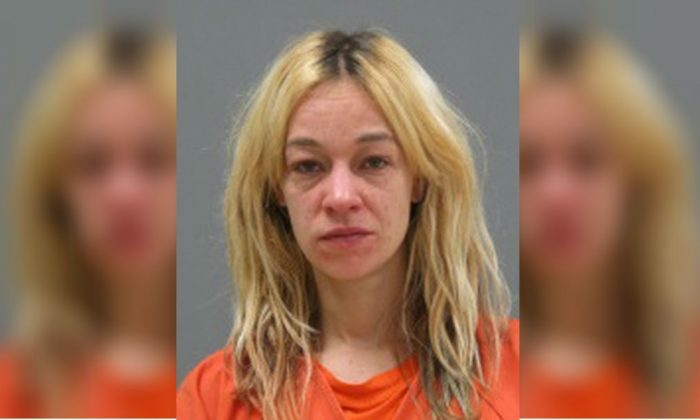 As Mary Kathryn Boettcher, 36, was approaching her home in Mankato, Minnesota, on Dec. 30 she “freaked out” according to a witness, and damaged the vehicle. Boettcher kicked in the windshield of the car and broke the driver’s cellphone, a criminal complaint alleges. She then went inside a house. When an officer arrived at the house, according to the complaint, Boettcher tried to keep him from entering. The officer put his foot in the door to prevent it from closing, and the Boettcher reportedly ordered her dog, which weighed about 25 to 30 pounds, to “kill” the officer. The dog bit the officer’s legs about five times, drawing blood, the complaint states. While another officer got the dog under control, the first officer tried to put Boettcher in handcuffs. While the officer was trying to pull Boettcher out of the house to arrest her, he slipped, and they both tumbled into the yard. The officer was able to take her into custody, and on Tuesday, Jan. 2, she was charged with felony assault on a police officer, felony property damage, and gross misdemeanor obstructing the legal process, Mankato Free Press reported. If convicted, CBS affiliate WCCO reports, Boettcher could face years behind bars and over $10,000 in fines.